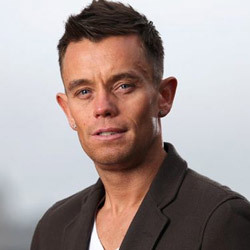 For ex-midfielder Lee Hendrie, a career that brought him over 300 games for boyhood club Aston Villa, an FA Cup final appearance and an England cap, could have transpired somewhat differently had he mastered a separate art form and fleeting pastime of his. 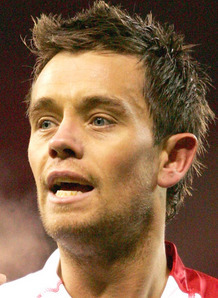 Over 17 years after he made his debut as a teenager for Villa in the top flight, Lee announced the end of his playing days recently having finished the season with Tamworth of the Conference North. His efforts in the game are now centred around his project FootieBugs, which we will hear about in detail, but there was no shortage of nostalgia in our conversation and we went right back to the start of Lee’s time as a player. This Saturday was the ex-Stoke City man’s 36th birthday and he has plenty to look back on with satisfaction from the time he spent in the middle of the park. There was however a time when it looked as if he may have had a new interest on his hands and it was driven by a subject that is never far from football in one way or another. “When I first started at Villa, or when I first got into the team, I bought some decks and I think I thought I was going to be this big DJ! I think it was Pure Records I went to and this guy there sold me a load on vinyl, which I thought I’d be able to mix without a problem…it didn’t quite happen! His senior debut arrived two days before Christmas 1995 in an away game with Queens Park Rangers and Lee had the unforgettable introduction of being sent off having replaced Mark Draper in the first half! The endeavour and natural ability ensured though that it was just a minor setback and he made significant headway in the 1997/98 season, scoring against Coventry City, Southampton and Sheffield Wednesday in a campaign in which he also featured in the UEFA Cup games with Atlético Madrid along the way. Lee’s introduction to the Premier League player’s life had coincided with a lot of social opportunities and as he alluded to, he was one of the many footballers with a love for the UK garage genre of music. The garage scene went hand in hand with the resort of Ayia Napa in Cyprus and there have been a number of interviewees on this site to hark back to their personal visits to the lively location, and Lee is no exception. “Yeah a group of us went to Napa when I was a lot younger. I only went once but it sort of blew my mind with my atmosphere. Former midfielder and Villa legend Ian Taylor is one of the players on here to have cast a glance back over the music tastes in the team during his time with the club. Ex-Colombia international striker and adopted Villain Juan Pablo Angel did the same and named Croatian frontman Bosko Balaban as the worst for sound choices in his spell in B6. Lee names a fellow midfielder and one who retired two years ago as someone whose playlist preferences he came to appreciate, though it took time! There were also two teammates at Villa Park that sprung to mind for having a shared connection with Lee with regard to music, one of which has been plying his trade in the Iran Pro League with Esteghlal, while the other was a Premier League winner with Manchester City last year. 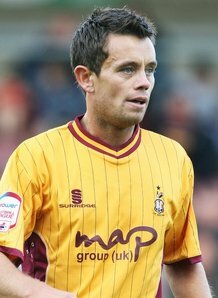 Lee’s on-pitch CV also comprises full-time stints with Sheffield United, Derby County and Bradford City, as well as loan moves to Stoke City, Leicester City, Blackpool and Brighton & Hove Albion. There was also a bold foray into Indonesian football with Bandung in the West Java province back in 2011 before a return to domestic shores. The most recent side to have Lee wearing their colours in the midfield were Tamworth this season and it was one of his Lambs colleagues that sticks in his mind for questionable pre-match tunes – a 21-year-old ex-Lincoln City winger. In his recent appearance on Sky Sports’ Fantasy FC, Lee talked through some of his career and life highs and lows with host Fenners (who also featured on here last year) and stand-in co-presenter and former Liverpool and England defender Neil ‘Razor’ Ruddock. 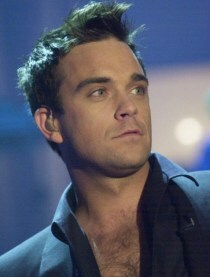 It was Razor who mentioned Lee’s likeness to singer Robbie Williams and after myself and Lee were discussing singing in front of teammates it occurred that maybe there is more of a link there than meets the eye! Lee was the local boy who achieved the dream of progressing all the way through to the senior squad at Villa, and his friend Darren Byfield, who would later represent Jamaica as well as the likes of Sunderland and Walsall, can also look back and say he achieved this. The two rolled back the years as they both took the field to help nudge Tamworth to safety in the Conference with a last-day victory at home to Woking. Lee may not rate his own vocal ability too much but he says differently about ex-Rotherham United goalgetter Byfield, taking a trip back to their time as top flight rookies. Villa fans always appreciated the approach Lee had to the game when he was wearing the shirt and there was certainly no lack of quality with some of the outstanding strikes he registered before his departure in 2007. There were multiple 6th-place finishes and an FA Cup final appearance against Chelsea in 2000, and Lee scored 32 times in over 300 games under Brian Little, John Gregory, Graham Taylor, David O’Leary and very briefly, Martin O’Neill. He explains what the Midlands giants and 1982 European Cup winners mean to him. “It’s always been a massive club, the fanbase is fantastic and they were always great to me when I was there. What made it special to me I think was the fact I’d supported Villa as a kid and came through the ranks to the first team. 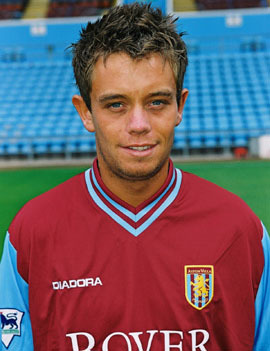 In the 1998/99 season, 21-year-old Lee had played his part in a Villa side that spent time at the top of the Premier League, including scoring the winner at home to Newcastle. In November 1998, he got his chance at international level as Glenn Hoddle selected him for the friendly with Czech Republic at Wembley. Lee came on as a 77th-minute substitute for Villa teammate Paul Merson who had scored the second goal in a 2-0 win after a flick-on from another club colleague, Dion Dublin. The duo had a role to play in Lee’s solitary England experience, as he describes. “When I got in the squad I was a young lad and I was nervous more than anything. I had Merse and Dion looking after me but I was absolutely bricking it! Also representing Daventry Town, Kidderminster Harriers, Chasetown and Redditch United, Lee has expressed an interest in punditry in the future but for now the father-of-four is enjoying the challenge of his venture FootieBugs. There have been a lot of efforts over the past year from all concerned to get things moving and with the guidance of professional coaches and experts, and an emphasis on freedom to learn without pressure for young children, Lee has the utmost belief in the possibilities the football-based education programmes can offer. “I’m just getting back out there with footy in a sense but I’ve always wanted to give back with coaching kids and to give them the benefit of the coaching I had in my career. We based it on 3-9-year-olds because I think places usually gear it towards starting when they’re a few years older. “It’s to give them a feel for the ball and the basic skills they can take on when they get to 9 or 10. I’d love it to be something special and it’s not just the football we cover. As mentioned, Lee was the guest on Friday night football programme Fantasy FC on Sky Sports recently and he chose the eleven best players he has played alongside. The long-running feature on here is slightly different and requires the interviewee to select a 5-a-side line-up (including themselves) of their career’s best colleagues. 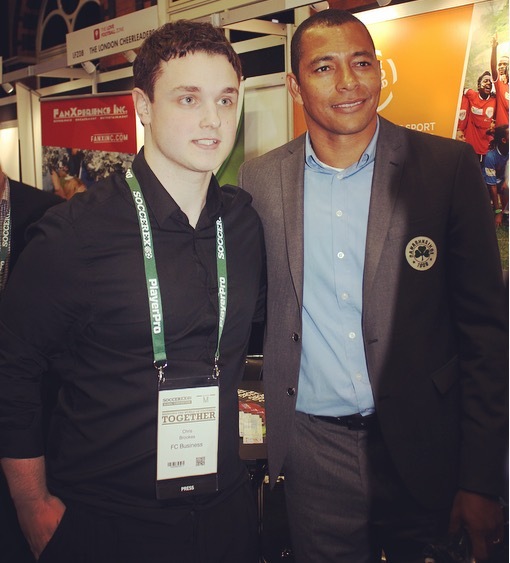 On the show, Lee chose some he had worked with at international level, as well as Brazilian striking superstar Ronaldo after joining in a match session on his team while the Brazil squad were training at Villa Park once. To go for a different option, I asked Lee who would go alongside him in a 5-a-side of his best Villa teammates, and also which ones would be in his team based on those from his other clubs. We start with the Villa group and there was a mention also for the party credentials of ‘All Night Dwight’ in here! “Definitely (Peter) Schmeichel in goal. Schmeichs was an unbelievable keeper and stopper and even at the age he was at Villa (37/38) he was still out there every day doing extra bits after training to improve. “I’d have Dwight Yorke, he’d be great at holding the ball up and a great finisher too. Merse (Paul Merson) – what a player, skills, could score out of nowhere and a great guy off the pitch too. When putting together his second team, as a Sheffield Wednesday supporter I tried to dissuade Lee from going for anyone from his days at Sheffield United, but ex-defender and recent caretaker manager Chris Morgan was in his selection originally! “I’d definitely have Patrik Berger – he had a wand of a left foot. Andy Griffin at the back – an absolute messer!